The former home of the BBC, Wood Lane was one of those “you’ve seen it all before” stations that populate the Tube network. It has the Dot Matrix display, the views of the local area down the line, views obstructed on the Platforms, and the sense that the place used to be so much better, even though it is quite a new station. What it didn’t have was a roundel saying Woof Lane, which (if you ask me) is a missed opportunity. 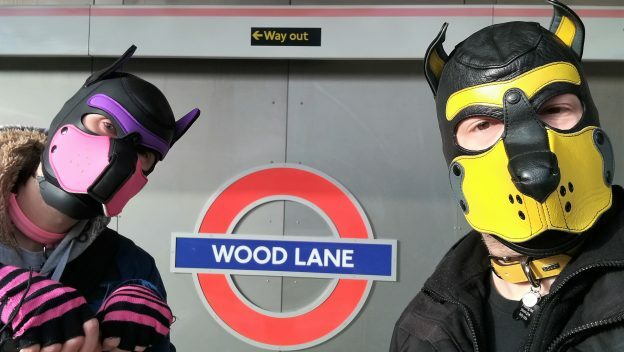 So as Echo and I waited for our next train surrounded by the rapidly aging architecture, which no doubt was impressive in its time, we kept our hoods on and drew the bemused looks from passers by we were aiming for. Before too long had passed, we hopped on the next train and trundled the short distance up the line to our next destination.